Craig graduated from UniSA in 1992 & began work firstly in the hospital setting with diabetic & vascularly insufficient patients. 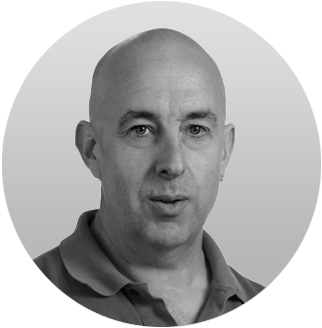 Since then Craig has had 20 years of experience in private practice which has included further qualifications in podiatric biomechanics which he completed in New South Wales. He worked for 3 years in Canberra in a practice with a biomechanical & sports bias & was fortunate enough to work with professional sporting teams in Rugby League, Rugby Union & many other sports with his involvement at the AIS. Upon returning the Adelaide, Craig worked at Sportsmed SA for close to 10 years with a sports medicine and biomechanics focus. From his extensive experiences in multiple work settings, he has developed an interest in gait analysis and footwear in the sporting population & patients recovering from knee & hip replacements. Over the years Craig has had involvement with many major sporting teams including the Port Power Football Club, Adelaide 36ers, Adelaide Lightning, Adelaide Thunderbirds & the Australian & English Cricket Academies. Craig started his own private practice 10 years ago that covers patients from sporting injuries & biomechanical problems to routine nail & skin care. He has a continued interest in footwear & the way it affects gait & injury patterns. You buy a Ferrari when you want to be somebody. You buy a Lamborghini when you are somebody! !